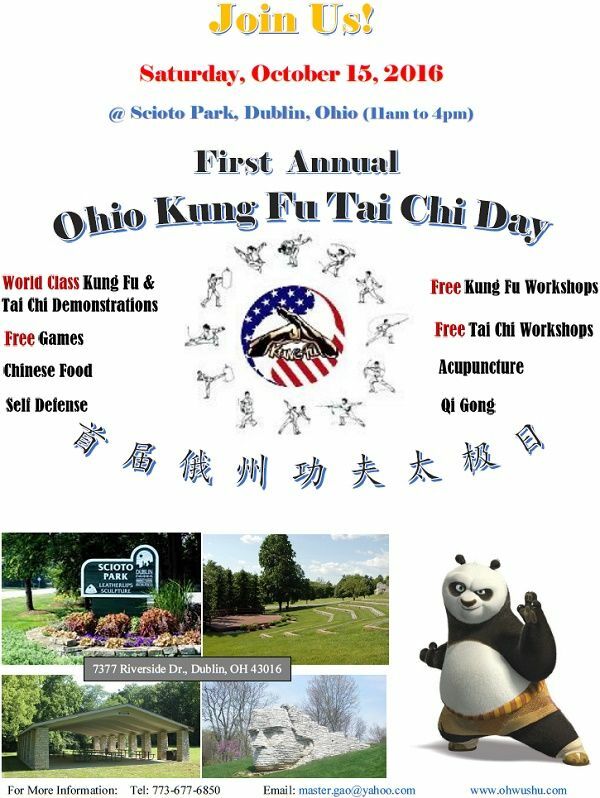 The first annual Ohio Kung Fu Tai Chi Day will be held at Dublin Scioto Park on Saturday, October 15, 2016 from 11 am to 4 pm. Ohio Wushu Academy will have world class Kung Fu and Tai Chi demonstrations and workshops by many martial arts schools in central Ohio as well as games for all ages. The goal is to help educate the public about the benefit Chinese martial arts. Admission is free! 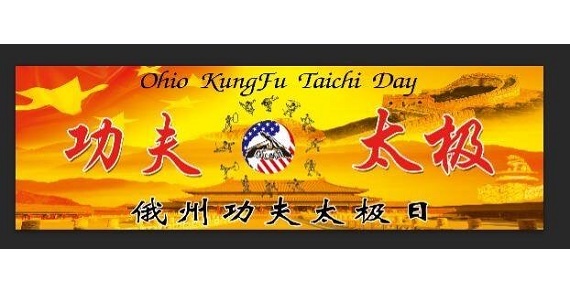 Come join Ohio Wushu Academy for the first annual Ohio Kung Fu Tai Chi Day! Nationwide Arena, 200 W. Nationwide Blvd. 1 Black & Gold Blvd. 345 E. Wilson Bridge Rd.